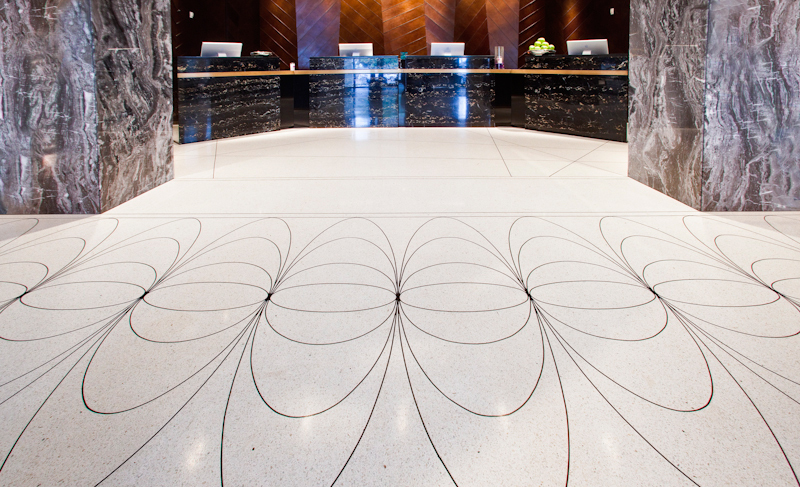 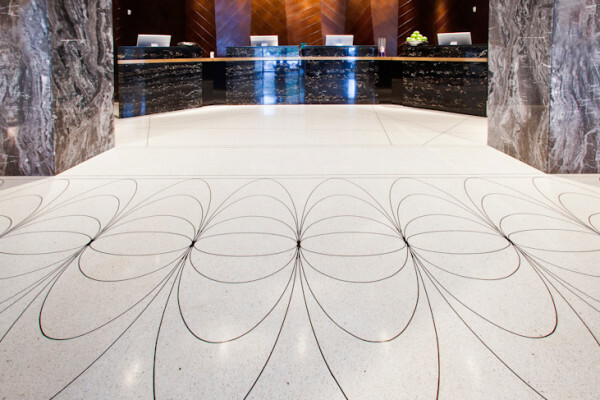 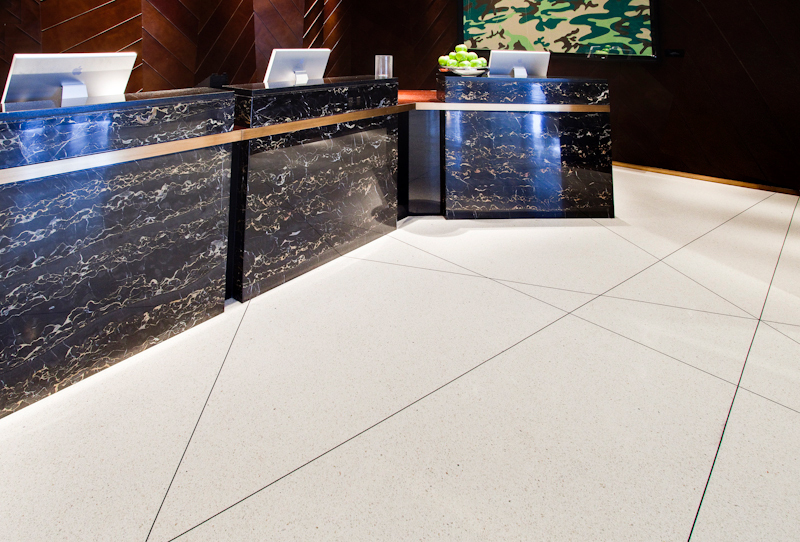 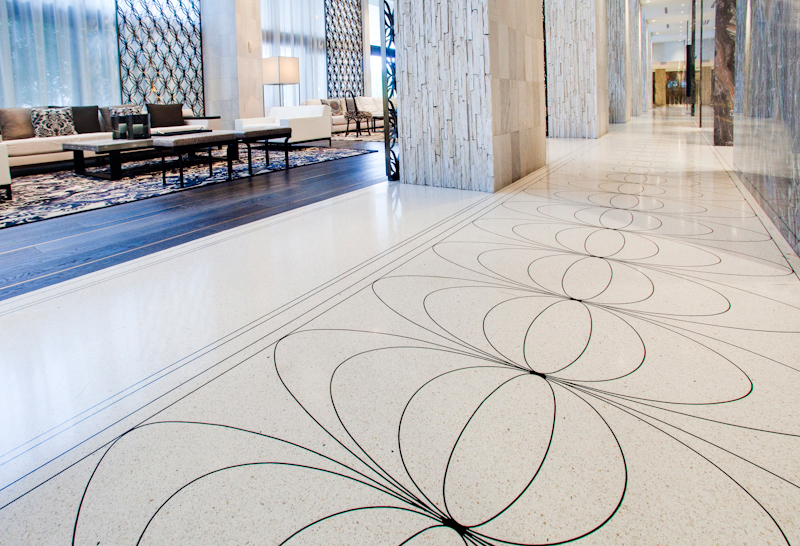 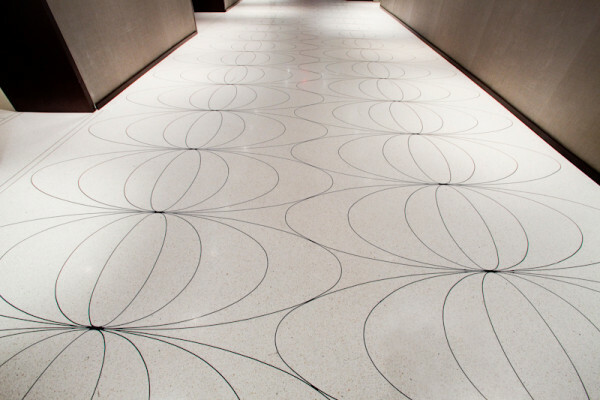 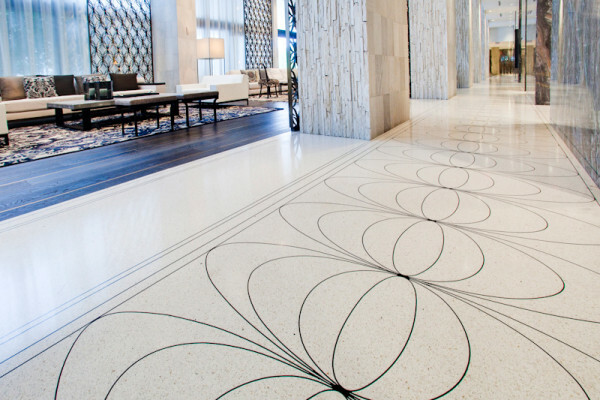 Talk about a “wow factor,” this system makes you forget it’s more about the strip lay out than the Epoxy Terrazzo. 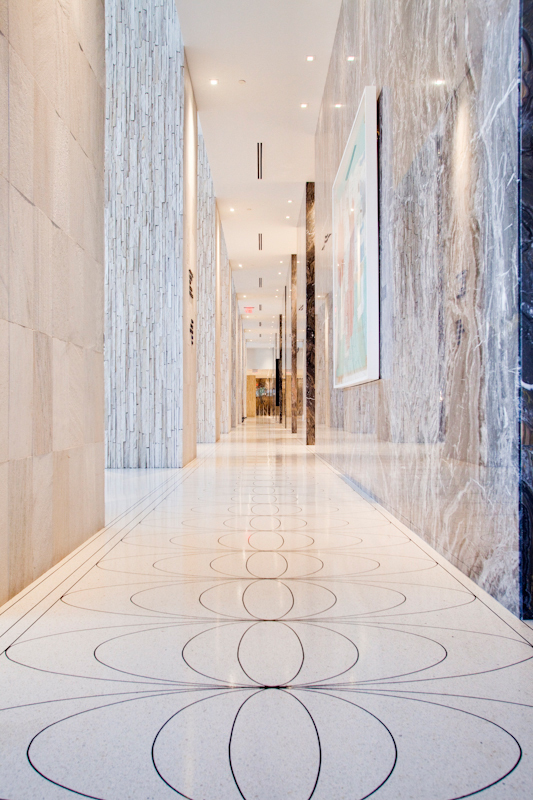 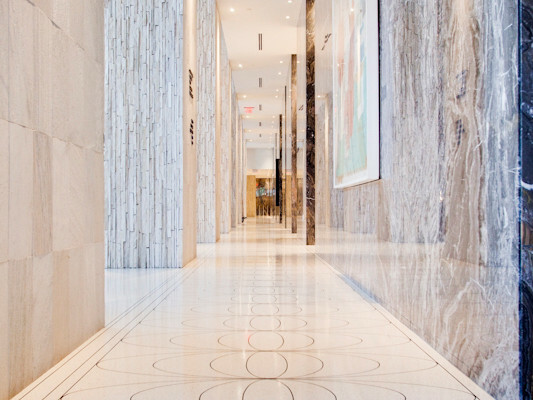 Artistic Surfaces utilized years of experience to provide a unique project that required precise craftsmanship. The plastic strips were laid by hand by using individual strips, this allowed the exact dimensions to be exceptionally precise, which is required to meet the high expectations of a high-end client.